The turnaround was one of the fastest ever accomplished by a thousand plane long distance raid, like the kind just launched. In just under 8 hours the majority of SACs forces were lined up and ready to make the long flight once again to the Baku area. LeMay knew that time was not on his side and he had to hit the area hard and continuously until the job was done. Defeat was not an option and all knew it. You don’t lose when you are being commanded by Curtis LeMay. You don’t even consider defeat because he can see it in your eyes. Once again the big bombers glided down the runways. Majestic as they were deadly. The CBs had made the runways as smooth as could be while using the Marston Matting that was so ubiquitous in the Pacific in the Second World War. It worked well on the hard packed sand that Egypt was made of. A great invention that made it possible to put a runway on even the most desolate of landscapes. Pretty simple concept as most great inventions are. Two millions tons of matting had been made and some of it was being put to good use in Egypt, Cyprus, Crete and Turkey. The fighters waited until the bombers where overhead before they rolled down their runways from various bases in Turkey and a few islands along the way. The ramming attacks of yesterday were on the minds of all who got into a plane. The tenacity the Reds had shown with those attacks was a very large psychological weapon and that is why Novikov and the VVS still used them. How could you defeat such and enemy? The pragmatist would say that we already did defeat such and enemy when we crushed the scourge of the Kamikaze. Others might not be so confident we can do it again. The man who was giving the orders was sure it could be done again and one way or the other he was determined to win. The first raid had been a sucker punch. The second raid had been a body blow. Now he has to take a few head shots if his opponent was going to be finally defeated. He was not so naive as to believe that the VVS would fail to get off the deck before the count reached 10 and would come roaring back with all it had. LeMay knew his opponent as well has he knew himself. Novikov and he had been cut from the same piece of cloth. Both were willing to take calculated risks and played the odds; both would also know when to put it all in and It was time. No more feints, no more dancing around, it was time to go toe to toe and both leaders knew it. LeMay has pushed all his chips into the middle of the table and now it was time to see what Novikov had. It was time to see who would fold first. For the first time in his life LeMay had a small voice in the back of his brain creating the slightest thread of doubt. How improved had the Soviet’s missiles become? How many jet fighters would rise up to face his own? How many losses could the US leadership endure? Every time it had been sustained at over 10% they had pulled back. It had been stressed during the meetings and trainings that both the ground to air and air to air missiles were less than 10% effective yet how do you convince the squadron commanders who’s planes that ten percent would hit, to stay the course no matter what. To knowingly sacrifice your crew for the good of the squadron. Then when the squadron leader was taken out how do you count on the next in secession to step up and put his crew in such grave jeopardy? All it took was for one squadron leader to veer out of formation taking his formation with him and utter chaos reigned in a tightly packed raid. This was amply demonstrated in the Leningrad Raid. The RAF Bomber command had faced down the Stalin’s Fire Missiles and had not panicked and has still sustained losses of 15%. Historically that was enough to cause HQ to stop the raids until other tactics could be developed. In the case of the bombing campaign over Germany it has been to let the fighters and fighter bombers loose on the airfields and infrastructure of the Luftwaffe and it had worked. Many had doubts that it would work against the far more numerous and initially well supplied Red Air Force. The Japanese and Germans had been defeated because of the lack of fuel to both train new pilots and to power their fighters to defend their oil production facilities. 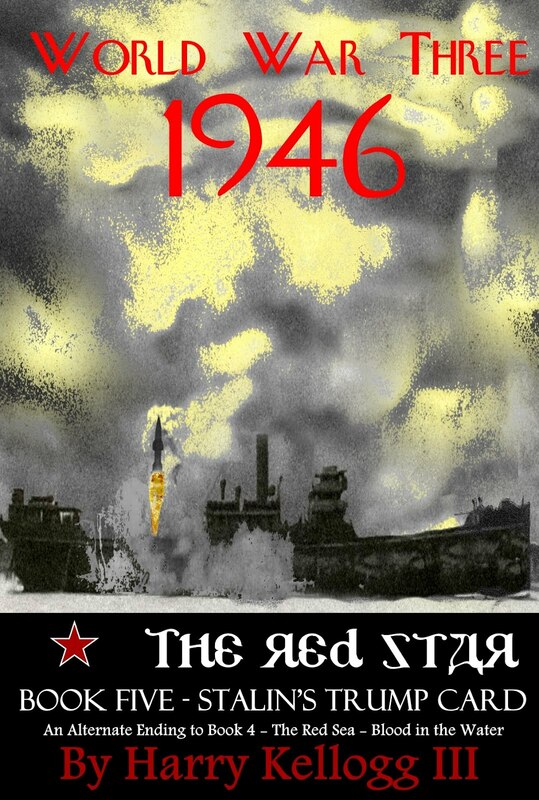 The atomic bombs had gone a long way towards stopping the Reds oil production. The real question was did they have enough stockpiled to weather the next few months and would their missiles be deadly enough to stop our bombers. Would they be sufficient to make a difference? LeMay’s supply line was very long and just starting to ramp up. 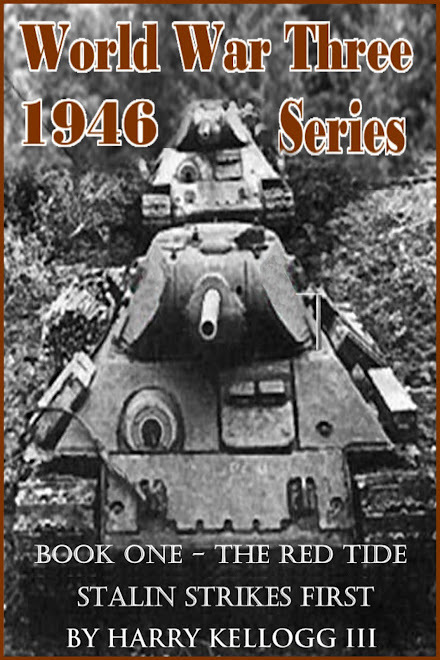 Could he keep the bombers in the air in the numbers needed until he reached the crucial tipping point; the tipping point where one side of the other started to run out of resources; be it pilots, planes, ammunition or fuel. He calculated that he had to reach two to one odds or greater within 60 days to start the long slow slide of attiring the VVS. 60 days of heavy losses on both sides. Would the American public stand for such losses. Would the men themselves figure out the odds and be willing to play with their lives. This raid would be crucial and would set the baseline for future operations. Each side would be at its strongest and each side had the resources to burn in their internal combustion engines, but for how long. His mission was twofold. Number one was to stop the oil from flowing and number two was to clear the skies of the Soviet planes enough for the coming invasions. The invasions themselves were out of his hands. He was trying to land body blows to make the opponent drop his hands. The coming spring operations were to be the knock out punches. In the fight game you take a lot of punishment yourself trying to land blows to the body of a skilled opponent. He made you pay for every shot you took with jabs and head shots of his own. Sometimes you were forced to lead with your own chin like Rocky Marciano, that new kid he saw fight for the Army. He was cut up real bad in almost every fight but got the job done after his first few blows finally hit home. That kid could take a punch and he could deliver one as well. He knew the boys of SAC could too but could the politicians watching from the sidelines keep from throwing that towel into the ring and stop the fight prematurely. The Brits had and so had we in Western Europe. All strategic bombing has stopped in Germany and France. The Brits were on their knees and were finally getting the help they needed from the USAAF. Sacrificing the RAF has worked but not as well as planned. Novikov had moved too fast and LeMay had expected at least two full weeks of virtually unopposed bombing on the oil production facilities of the USSR before the missiles and jet fighters of the VVS showed up in sufficient numbers to place the operation in jeopardy. He only got 4 days. Novikov was either a mind reader or very, very good at his job. Once again the big bombers started to roll and it never failed to send a shiver up his spine of all that power and destructive capability launching on his command. The losses from all forms such as attrition, accidents and combat losses had been seven percent for the last raid. Early indications were that they had destroyed a months’ worth of Soviet supplies. Not bad for a day’s work but much more was needed…much more. 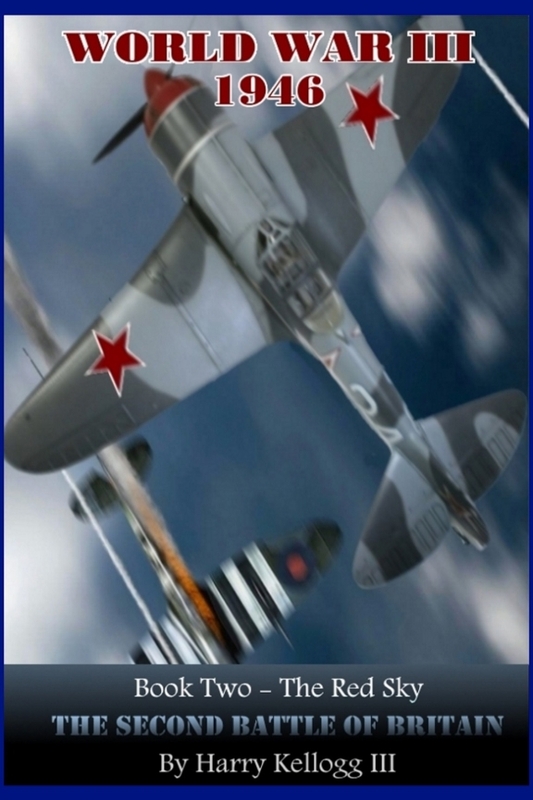 The calculations were that he would face over a hundred ground to air missiles, over 400 air to air missiles carried by 100 modified Tu2s Bat medium bombers and the lumbering Pe 9 Beaches, along with 100 or so of those He 162 cloned - Stalin’s Darts and 300 other jet fighters of the Yak 15 Feather and Mig 9 Fargo variety. Add in the estimated 2,000 conventional fighters that could effectively reach 24,000 feet and have enough speed to at least make a pass or two at the bombers and you had a formidable enemy contingent to deal with. He didn't quite have 1000 planes. Launching from the Middle East based were 523 B-29s and from Turkey and the islands were 419 P-80 Shooting Stars. The P-80s were going to have to have to keep the Fargos, Feathers, Darts, Beeches and Bats busy, while the Superfortresses were going to have to defend themselves from the thousands of Yak 9s Franks and La 7 Fins. Once one of those Red missiles were launched there was nothing yet devised to help the B-29 survive. It was just luck of the draw whether the missile performed or not. They appeared easy to evade if you were in a fighter or medium bomber and had room to maneuver, but in a tightly packed formation of relatively slow super bombers, you were pretty much dead meat if the missile worked as designed. Many a bomber pilot will be sorely tempted to drop out of formation to see just how hard it will be to evade a missile or two but they would then risk collision and more important the ire of LeMay. Most were more afraid of LeMay than any missile. This raid should be a real test of the concept of the usefulness of the manned bomber in modern warfare. The words of wisdom uttered early in the war were “the bomber will always get through” was about to be tested as never before. The USAAF has based its post war strategy on that adage. 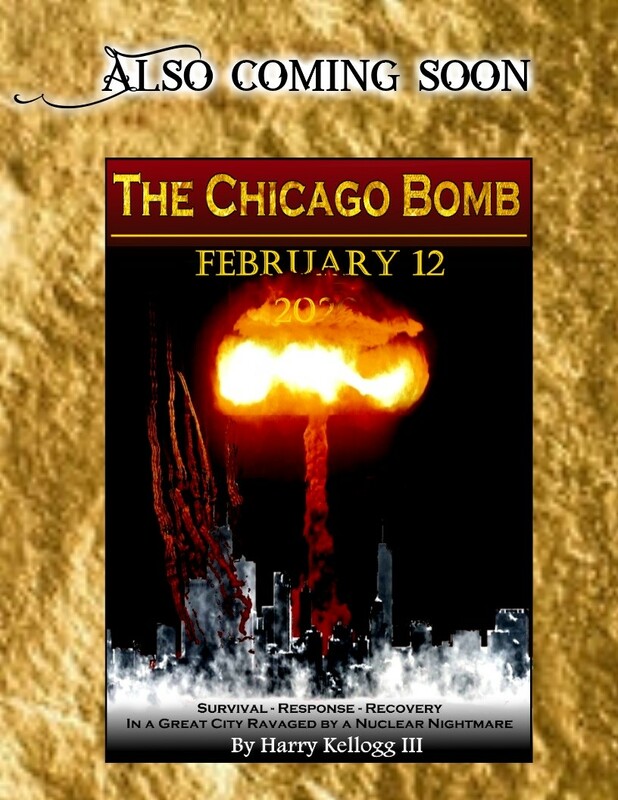 When combined with the atomic bomb it seem a pretty safe bet but then came along the guided missile and the Soviet agent George Koval and all bets were off. When an immovable object met an unstoppable force, what would be the results? The world was about to find out.